Manfrotto, world leader in the photography, imaging equipment and accessories industry announces the launch of the new generation of Lykos 2.0 LED lights. Designed for professional photographers and videographers looking for a compact yet powerful lighting solution that is versatile, water resistant and reliable, the Lykos 2.0 features a built-in lens for optimal natural lighting, and is easily controlled through a dedicated Android and iOS APP. 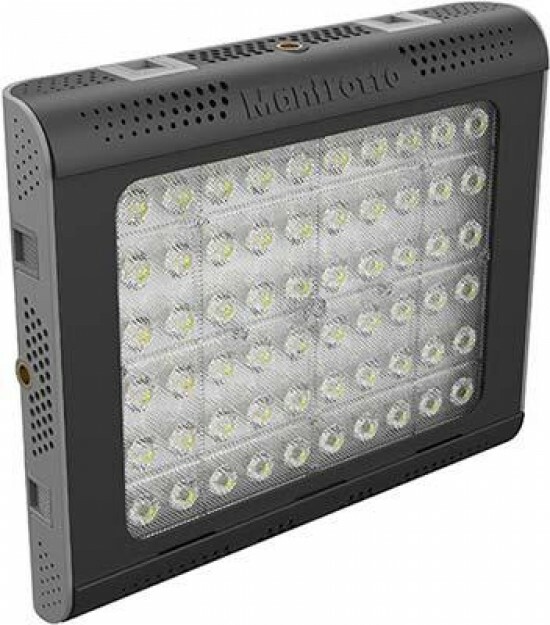 Manfrotto’s brand new Lykos 2.0 Daylight and Lykos 2.0 Bicolor exceed industry performance standards thanks to advanced surface mounted technology combined with a built-in lens which optimise optical efficiency and ensure spot-on colour rendition and colour cast for the most natural lighting. These ultra-portable LED lights cover all the needs of demanding professional videographers and photographers, for whom lighting is an art form. The special water resistant design means the Lykos 2.0 LED lights can be safely used outdoors and they provide outstanding, long lasting lighting. Flawless light set ups can easily be achieved through the devices’ key functions, such as brightness and colour temperature using the intuitive controls and smart features either on the dedicated iOS or Android APP. The new Lykos 2.0 LEDs are powered by dual-mount Sony L-Type or Canon LP-E6 battery, or by standard AC cable. The Lykos 2.0 Daylight LED has a colour temperature of 5600K and is perfect for cooling down skin tones and for in-studio still life photography or videography. The Lykos 2.0 Bicolor features whiter, warmer LEDs, and is ideal for giving skin that extra warmth. This model is also the perfect fit for outdoor interviews, fashion or street style images and video footage. The new Lykos 2.0 Daylight and 2.0 Bicolor are accessorised with hot shoe mounts that can connect up to 4 LED Lights to create a full LED System for professional studio applications, or for larger and more structured subjects. These lights can be controlled simultaneously via the APP. Moreover, the hot shoe mounts can be used to connect a microphone or other accessories that may be required. The Daylight version has an illuminance of 1600lux@1m whereas the Bicolor 1500lux@1m. Both models use surface-mounted LEDs to ensure greater power efficiency, more consistent colour, flicker-free illumination and an improved working life. The LED control panel at the back of the devices enable easy monitoring of dimming levels and battery status. Every detail on these lights is designed with flawless minimalist style for a sleek look and feel. Their extremely compact size makes them easy to easy to handle, carry, and store in any photography bag.